Smrt is a fully digital, web-based curriculum created solely by our instructors for our students. Embracing the learning and teaching potential of the web, the Smrt curriculum prepares students to excel in all areas of English. Bring your own laptop, ipad, or other device and get help personalizing your own learning environment. 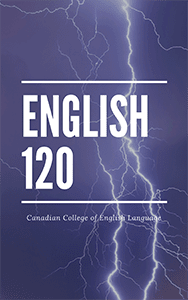 With high-speed internet available, teachers at the Canadian College of English Language find motivating and interesting material to engage their students. Thousands of students and teachers are using Smrt in high schools, colleges, and universities all over the world. Your progress will be assessed using tools such as quizzes, exams, and attendance, all within the Smrt platform. Have a look at our courses used around the world. 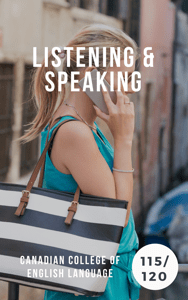 Develop greater skills in listening and speaking for basic communication in the classroom, outside the classroom and at work. Introduction of basic grammar, expand reading and writing skills. Basic computer commands practiced. 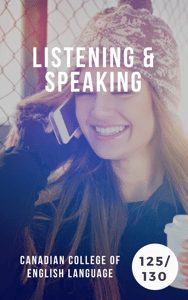 Listening, speaking, reading and writing skills to function satisfactorily in most real-life situations related to immediate needs. Must have completed 110 or equivalent. Limited knowledge of computer use and skills with introduction of more advanced technology skills and commands. 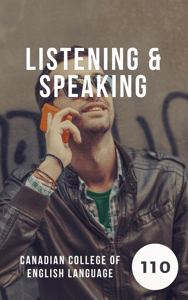 Refine skills needed in conversations beyond survival needs. Function independently in most familiar situations and use appropriate language in routine social situations. Begin to increase and challenge knowledge of simple computer commands and uses. Skills needed to function effectively in familiar and unfamiliar social situations and familiar work situations. Communication needed to discuss/interpret cultural differences and use English to solve problems outside the class. Fluency and communication skills. Self-monitor effectively when using basic grammatical structure and introduction to more complex structures. Cultural values and thinking patterns are introduced through discussions, readings and writing. University preparation with a focus on writing, listening and reading skills. Developing thesis statements and a deep understanding of Comparison/Contrast, Cause/Effect and Effect essay styles. 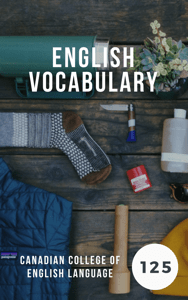 Introduction to academic vocabulary and rhetoric while developing critical thinking skills. 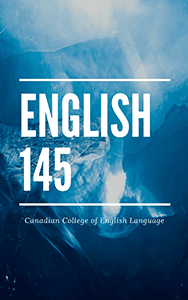 This EAP course is a continuation of EAP 140. Students further develop their abilities to collect and synthesize information from a variety of academic sources; analyze and critique materials; and present their ideas in a variety of media in accordance with the academic standards found at the first-year university level. You will learn the basic pronunciation of a wide range of sounds in the English language by listening, speaking and working in small groups. 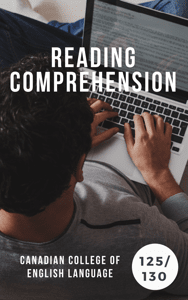 An introductory Reading Comprehension elective for students new to English. 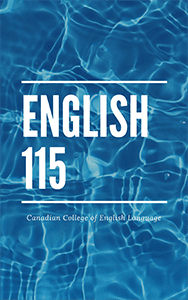 This course focuses on understanding rules and patterns in pronunciation, developing skills for formal and casual situations, and preparing for speaking events. 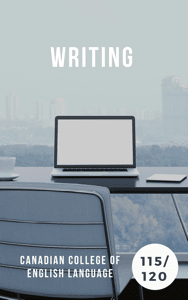 An intermediate writing course that focuses on strategies and skills for writing a variety of paragraphs. 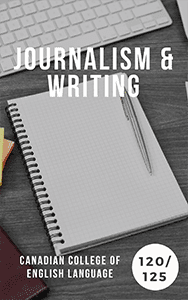 Journalism requires students to consume news from various sources and write short articles once or twice a week. 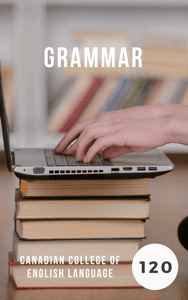 This is a back-to-basics grammar course for students who want to strengthen their understanding of English grammar. 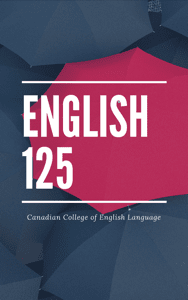 The course focuses on reviewing the basics of grammar, from tenses to parts of speech, and getting students to use the grammar in spoken and written English. 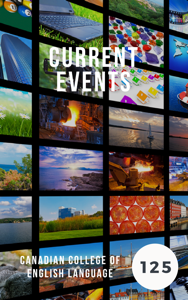 Current Events is designed to improve a student’s speaking, listening, reading, and vocabulary through an active intake and discussion of world current events. 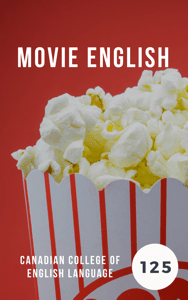 This is a vocabulary and listening course that uses movies to help you learn the meaning, use and pronunciation of vocabulary. 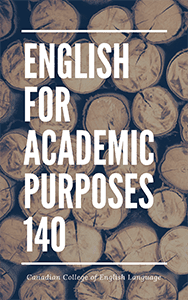 This course explores a wide range of interesting, topical themes to develop essential vocabulary for academic as well as everyday use. 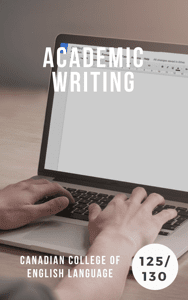 This course will get you ready for the difficult challenges of writing at an academic level and help you have success in college. High level discussion, listening and public speaking are the focus of this course that utilizes different forms of media to learn about exciting topics from around the world. 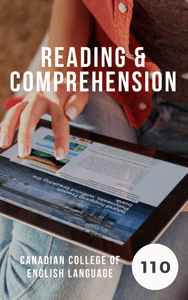 Techniques for comprehending literature and academic readings are the focus of this course. Aspects of fiction, nonfiction, and poetry are also explored. Note: Not all electives will be available during your studies. 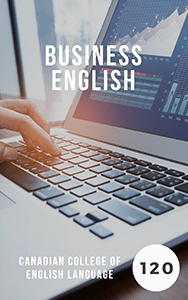 BE120 course is most suitable for students who would like to improve their English language and communication skills for the workplace. 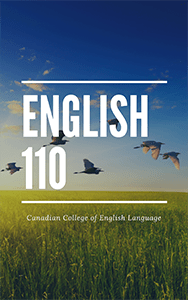 The course also focuses on job search in Canada, writing a convincing covering job letter and resume, making an effective presentation and impressing an employer at a job interview. 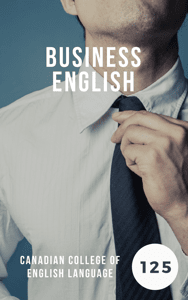 This elective combines Business English topics and vocabulary with Career Preparation. It is ideal for those preparing to enter the workforce at home or abroad. 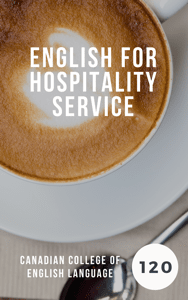 EHS is designed for students wishing to acquire knowledge of the functional English required for employment in a café, bar or restaurant. 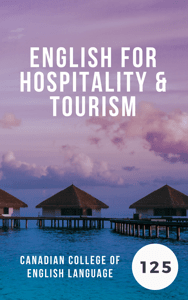 This course is an introduction to the vocabulary, careers, and industries in Tourism and Hospitality. 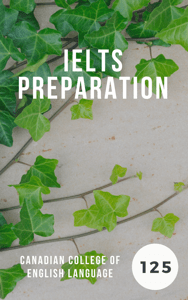 The course is designed to give students thorough knowledge of the IELTS test format and opportunities to develop the skills required to improve on tests. 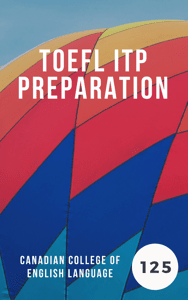 This course is designed to provide students with the skills and knowledge they need to succeed on the TOEFL ITP exam, which is designed to judge their placement, progress, or general proficiency in an academic university situation. 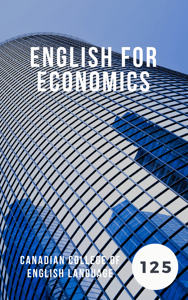 This course looks at basic economic and financial topics in a simple yet interesting manner. 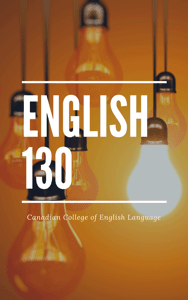 Note: Not all English for Special Purpose electives will be available during your studies. Contact Ayako to help you plan your studies.